When you are operating a brand, you want to make sure you are getting the best returns possible. If you have decided to use social media as a tool, you definitely want to see positive results – increase engagement levels, higher follower counts, greater profitable traffic to your site, and so on. In the quest to achieve this goal, you may opt to use services that help you to get 50 Instagram followers very fast, for instance. However, likes can only do so much for you, especially if your engagement levels are low. If you are hesitating to answer when you are asked the question of whether you are getting increases in profitable traffic, then it may be time to consider fresh strategies. Instead of going for the easy way out and buying followers (most of whom are fake anyway), the option of building your audience organically delivers better results and greater consistency. How do you do this, especially with the rise of the fake followers (roughly amounting to 48 million users)? Read on for some tips to do that. Instagram does not have a ‘homepage’ per say, so your bio will function as that. You may not think much about it, but it is a very underrated way of increasing your followers, so you need to make it as effective as possible. That means you need to add a profile picture of your brand, adding a proper bio and a proper username. Otherwise, people visiting your account will not know it is you, and they decide to leave – a poor first impression indeed. Even though this seems silly, it is actually a mistake very many brands tend to make. For instance, a brand fails to fill in the bio section, and they do not put links to landing pages. The bio is the sole chance you have of driving visitors to your site, so it is essential to optimize it. If you are not sure where you should link, then you can use your product pages, specific hashtags, keywords or campaigns. In addition, make sure your search name is friendly, and do not add special characters to your username. After bringing in followers on your platform, do not do them a disservice and post content irregularly. If you have a loyal fan base, do not make them forget they followed you – that is a very wrong strategy to use, especially when you are seeking to build a brand in the first place. To help in minimizing the cropping up of this behavior, make sure to have a plan for posting content. The usual scenario is brands should not post more than a few times daily, but whatever method you choose, just ensure it is as consistent as possible. You can also post more than once in a day, since the net numbers of Instagram users daily is very wide, and you can gain new followers from them. When you make a schedule and stick to it, you will be able to make a good experience for the people that follow you, and they will remain in the know of what you are doing. 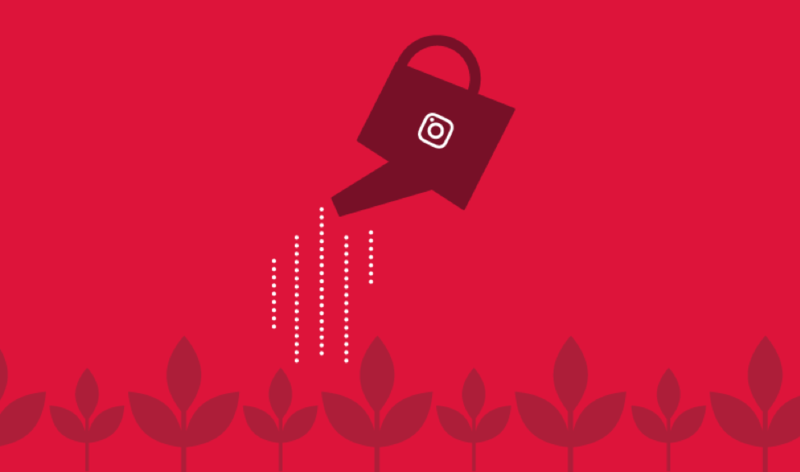 The emergence of the Instagram algorithm has let users put more content out, but when they post at the right time, they have better chances of higher visibility. Various tools and apps also exist, which can help you to create schedules for all your posts in advance, so you do not need to worry any longer. The processes are also easy, and this helps you stay organized while maintaining consistent flows in content. Maybe you have done all these, but you are still not getting the traffic you want. You can try increasing your audience by working with other accounts, and they will help you by acting as a marketing channel of your brand. The larger your customer base is (as long as it is real), then the more interested customers and buyers you will have. In light of this, make sure to maintain a constant presence in your social media account as well as that of others. You can also use user-generated content as a way of promoting your brand in the feeds of others, and do activities like hosting competitions and giveaways. An alternative method would be getting your handle to big accounts, and working with them to share your content to their audience as well. This does not only apply to Instagram though; you can use this strategy on other social media platforms as well. The bottom line here is making sure you are not dormant on your account, and you are always providing something interesting. You do not want to sound too ‘sales oriented’ either; just make sure you are building connections and making solid marketing plans, and they will help you build your own audience. Social media these days is populated with fake accounts everywhere – there is no platform now that does not struggle with eliminating these accounts. It is therefore very important to learn to differentiate genuine followers from fake ones, and this will protect you from backlash of follower eliminations (which can happen any time). How do you spot fake accounts though? Make sure to check their follower-following count ratio (also known as ROI), have poor engagement levels with their followers, and the buzz they generate is either too little or none at all. As long as the followers are genuine, they retain the ability to comment, like and share your posts. They will also like it when the creator of the content responds to them. These interactions seem small, but they have much more value than having a host of inactive followers. Having a huge following on Instagram is nice and can act as a source of validation, but it is important to go about it in the correct way. This is through increasing your follower count organically, and making sure that all these elements are taken care of.